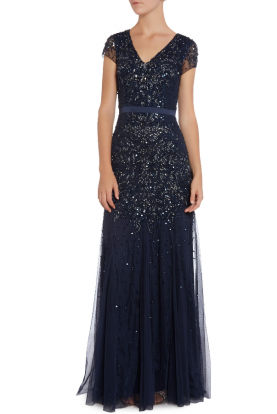 Floor length gown with mesh contrasting fabric. Comfortable fit. Asymetrical collar line. 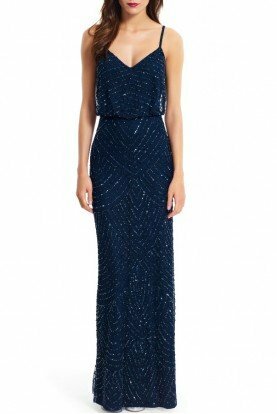 Fully lined, perfect for a wedding or blacktie evening! Available in sizes 0-10 for pre-order.